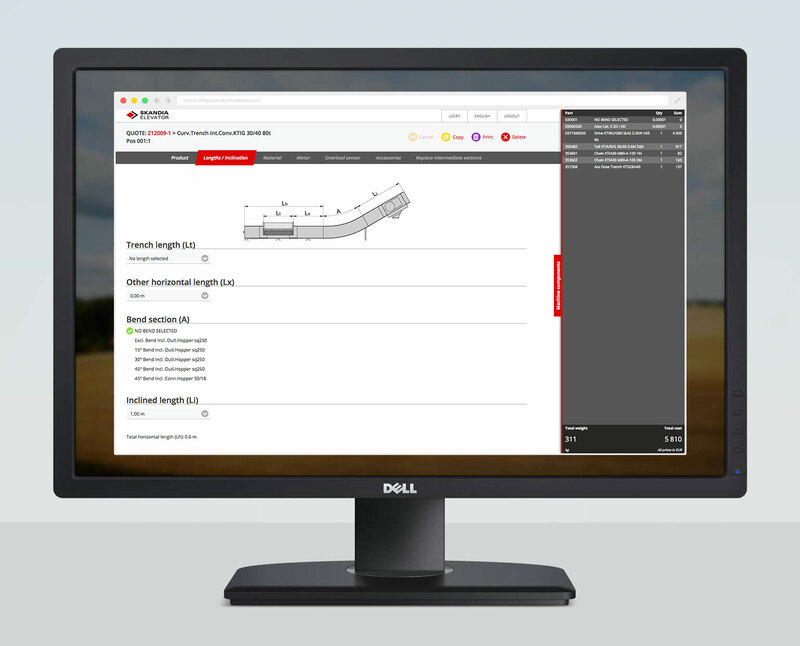 Our Quote Configurator tool is designed to be user-friendly and make our dealers’ lives easier. The program starts quickly and the interface is simple and intuitive. It gives you a clear overview of the quote and you cannot accidentally devise combinations that cannot be integrated with one another. You cannot devise combinations of products that are not compatible with one another. You get a better overview of the machines and the price for the quote is more precise. Calculating the price for a system in the Quote Configurator is quicker than calculating it manually using the pricelist. All quotes are gathered in a single location and you can adjust them quickly and easily. If you are a new dealer for Skandia Elevator, Quote Configurator will make it easier for you to learn all about our extensive range of products. The cost of working on quotes is reduced because devising quotes using Quote Configurator is both faster and easier than using the pricelists for the same task. You will also avoid making expensive mistakes when quoting that will be costly to correct later. Use the form below to become a registered Quote Configurator user. If you need help with downloading, installing and using Quote Configurator, contact us via Team Viewer for support. This is a program that allows our experts to view your screen in real time. Download Team Viewer, then book an appointment with support by phoning us or sending us an email.